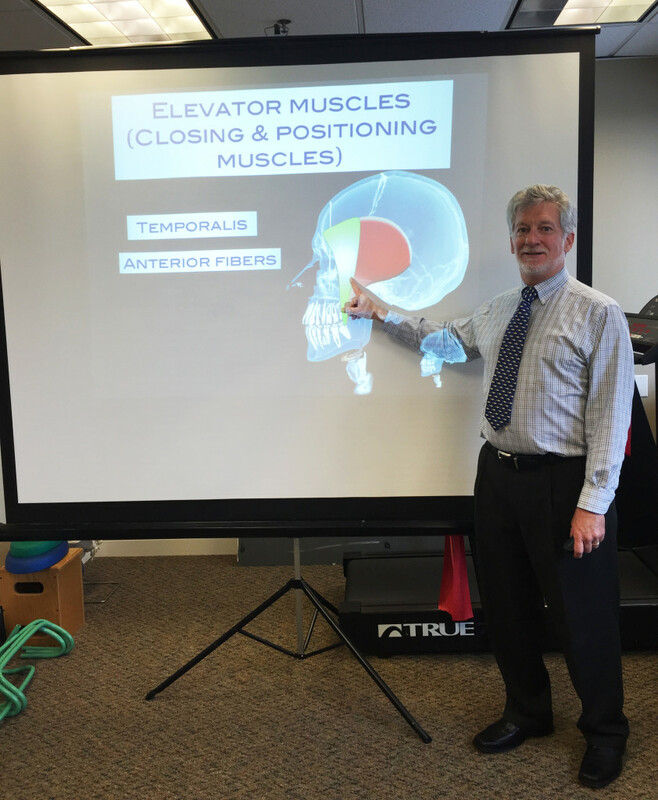 On Friday, June 5, 2015, Dr. Kevin F. Muench, MDM, MAGD of Maplewood, NJ presented a new perspective on evaluating patients with TMJ to NJPTA physical therapists. NJPTA continues to stay abreast of rehabilitating the head, neck and jaw with dry needling, myofascial release, neuromuscular reeducation, laser and key exercises. NJPTA is grateful to Dr. Muench for his time and inspiring lecture. 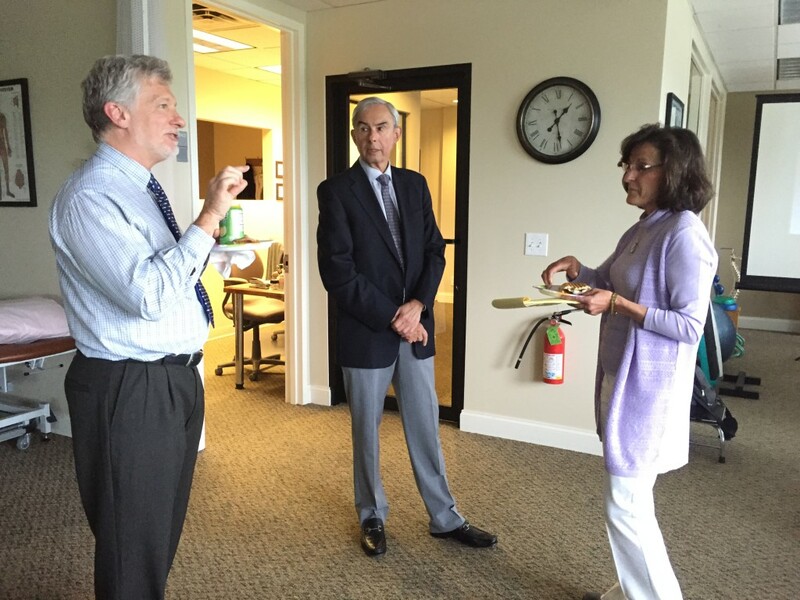 In a later photo, Dr. Muench (left), Dr. Robert Eskow DMD, MSCD (middle) and Carol Cote, PT, CCTT, CODN, President and Director of NJPTA (right) further discuss different patient scenarios. NJPTA has two physical therapists board certified in CCTT (Certified Cervical Temporomandiular Therapy). There are only about 35 therapists within the U.S. that have this certification. © 2018 North Jersey Physical Therapy Associates. All rights reserved.